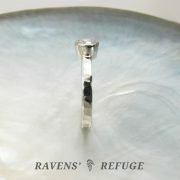 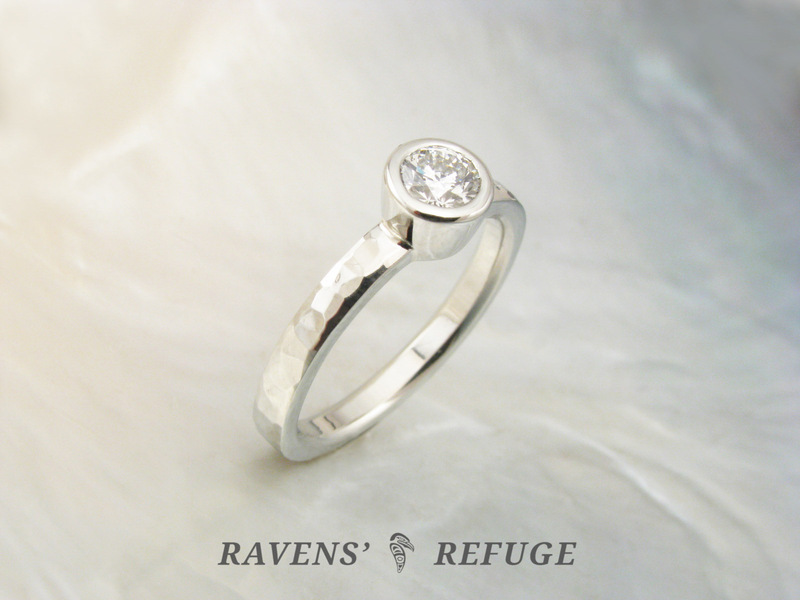 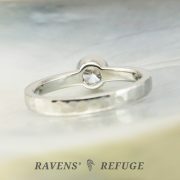 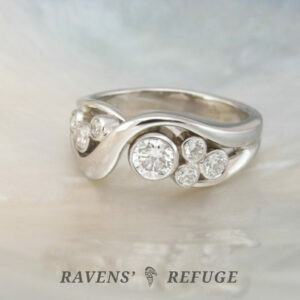 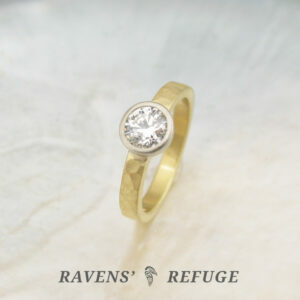 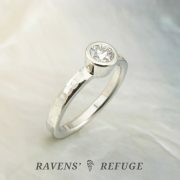 This lovely engagement ring is perfect for a woman who wants something gorgeous, but simple & practical at the same time. 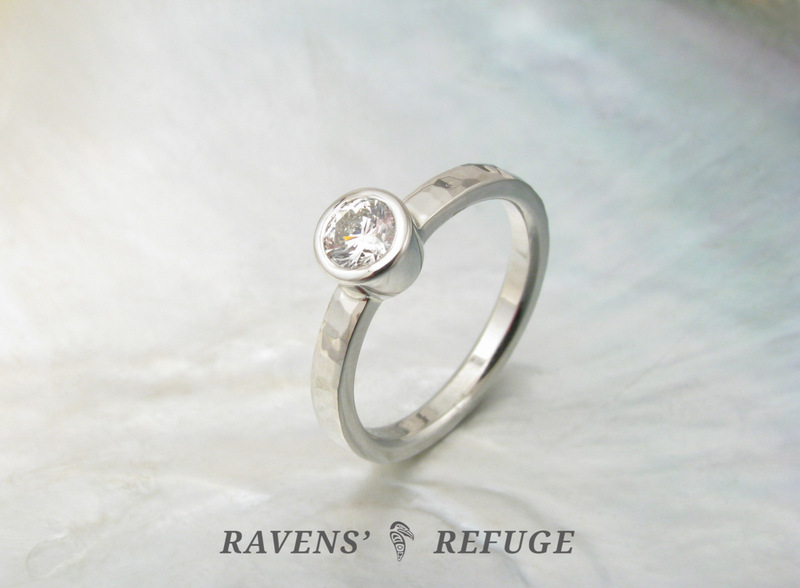 The center stone is a .50 carat GIA certified VS / F+ diamond that is white & bright & full of fire. 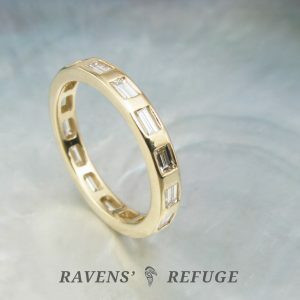 It is bezel set and seated on a 14k white gold band that Dan has hammered in our beautiful and unique waterfall style, which ripples as light cascades along its facets. 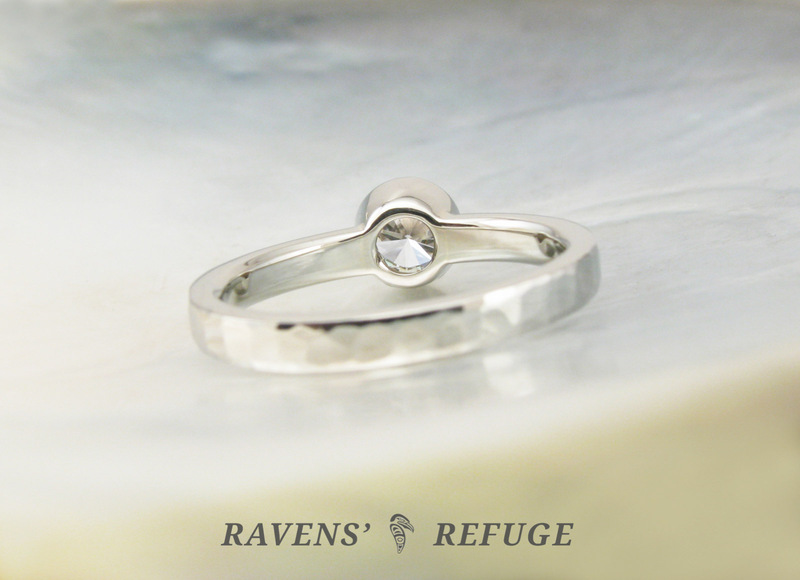 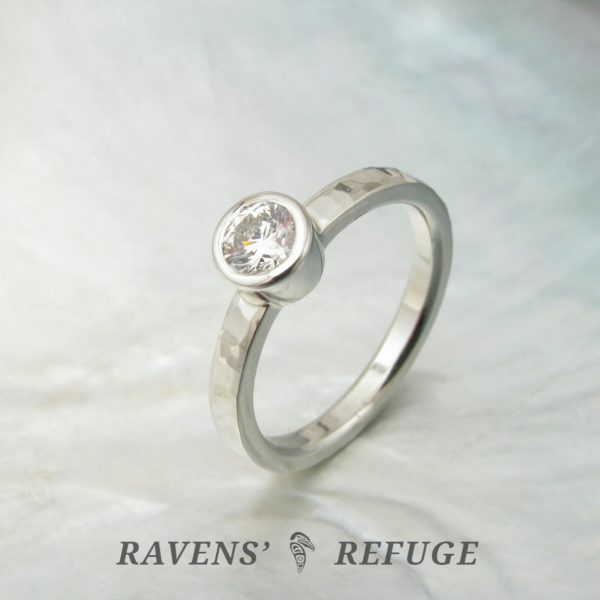 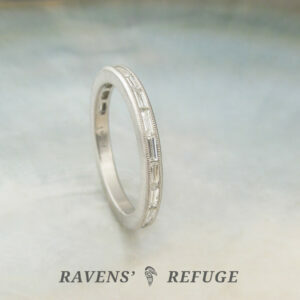 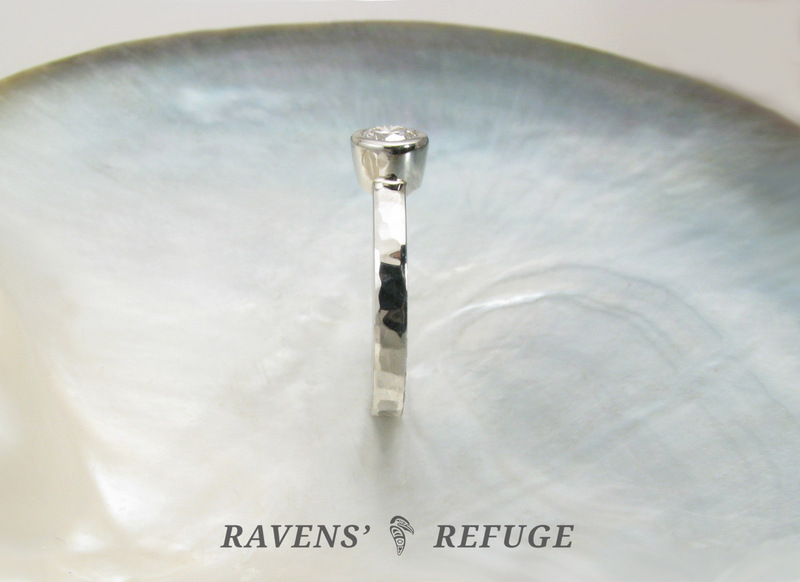 The bezel and the shank of this ring are both entirely hand forged, which is a rarely done now that pre-fabricated bezels can be purchased and soldered onto bands that have been cast. 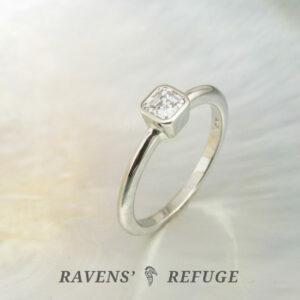 The shank of the ring is 2.5mm x 2mm in dimension & finished with a comfort fit profile.